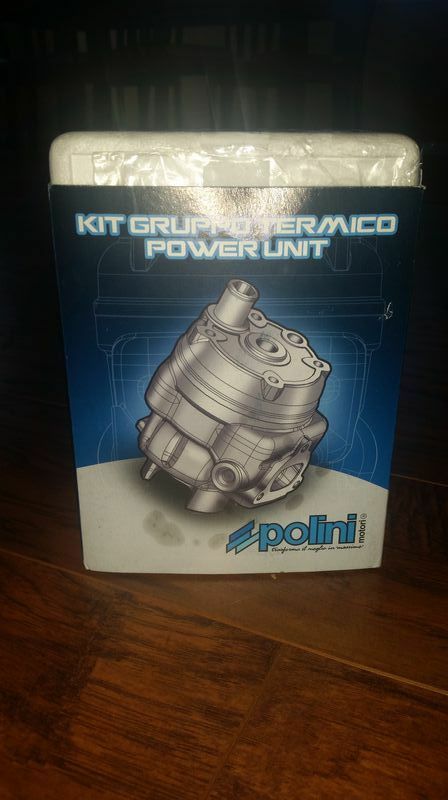 Hi, I'm selling a polini 75cc, it can be installed on a Vespa 50/PK50/XL/XL. It is brand new just the box has been opened, you will receive the Cylinder, Piston, Piston Rings, Head Bolts, Exhuast studs, shims and washers, piston pin and piston clips, 2 head gaskets, head, owners manual, and exhuast gasket. 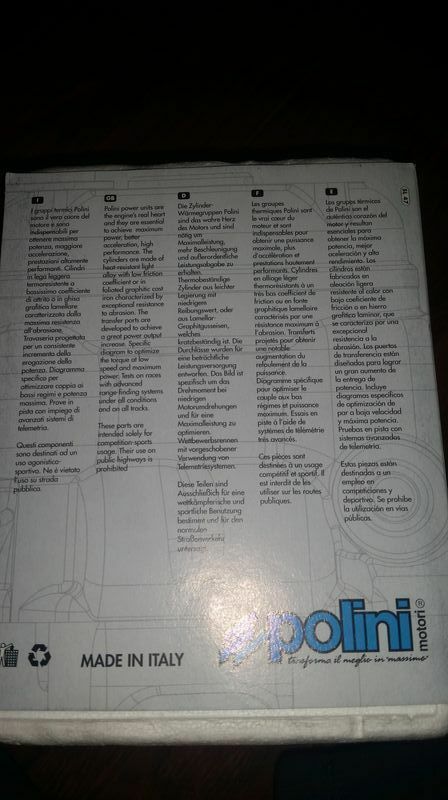 Here's some specs and info: Cast iron cylinders, stroke 43mm, 6 transfer ports, pistons with 2 piston rings, exhaust with a width of 27.5mm (chord dimension), 6mm exhaust studs, original POLINI cylinder head included in delivery, compression 11.2:1, incl. gasket set. Jets should be adjusted. Fits on all Vespa 50/PK/XL/XL2 models, except PK automatic. Transfer ports match the originals, casing must not be modified.